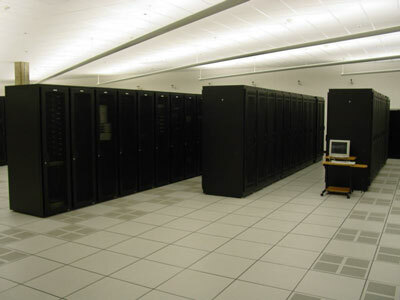 Our servers are located at state of the art Data Centers located in Houston, Texas, Dallas, Texas and Clifton, NJ. These data centers are among the best-connected hosting facilities in the world. The data centers are implemented through a high-speed network specifically designed for dedicated server hosting. Heavy investments in both network equipment and backbone connections to ensure that customers get the fastest access possible to their content and applications. The data centers have multiple network connections to different Internet backbones, allowing data to be distributed though many sources - meaning that the network is not dependent upon any single Internet backbone. These state of the art datacenter facilities offers complete redundancy in power, HVAC, fire suppression, network connectivity, and security. With over 35,000 sq ft of raised floor and 15,000 sq ft of static free tile. The datacenter facility sits atop multiple power grids driven by TXU electric, with PowerWare UPS battery backup power and dual power generators onsite. The HVAC systems are a combination of glycol, chilled water, and condenser units by Data Aire to provide redundancy in cooling coupled with 8 managed backbone providers. Twelve more third party backbone providers are available in the building via cross connect. Fire suppression includes a pre-action dry pipe system including VESDA (Very Early Smoke Detection Apparatus) with over 600 smoke detectors. The datacenter features keycard locks on all paths to sensitive areas, as well as motion-sensitive closed-circuit cameras throughout the premises. All visitors to the datacenter must check in and out of the facility at the front desk with a government-issued photo. 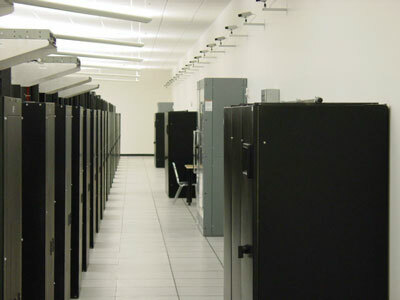 The data centers monitors all customer equipment and datacenter infrastructure at all times. The internal monitoring system is an open source code highly modified by the technicians to satisfy customer needs. The IPAlert system monitors up to 16 different services over a private or public IP network without a client install. The premium IPAlert system also includes a client based monitoring application that will allows to drill down and monitor all internal server services such as ram usage, CPU usage, applications, services, and internal temperature. The IPAlert system is available online 24/7/365 for viewing services and up to date statistical information. The IPAlert system also houses key escalation procedures designed and supplied by each customer to ensure the correct escalation path is utilized at the first sign of trouble. The NOC personnel monitor the IPAlert system 24/7/365 from both datacenter locations with technician's onsite around the clock. They also monitor all internal datacenter infrastructure through a commercial software application called Datatrax©. Datatrax allows the NOC technicians to monitor electrical, UPS, HVAC, and generator systems from their desktops. This information is key in controlling the datacenter environmentals and to make certain all equipment is housed in the most favorable conditions. The datacenters spans more than 60.000 square feet of raised flooring with multiple AC units maintaining a constant ambient temperature of 70°F. Among the long list of datacenter features are a comprehensive VESDA smoke-detection system, multiple UPS systems to protect against power outages, and multiple generators to ensure that customers are unaffected even in the event of catastrophic power failure. 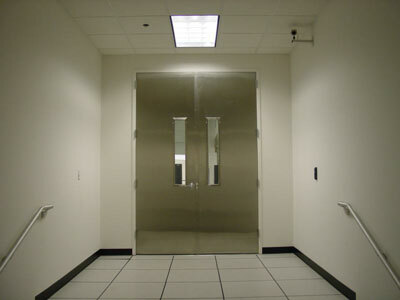 The datacenter is one of the most secure, boasting over 100 individual motion-sensitive closed-circuit cameras. The security system quite literally follows each visitor throughout the facilities until they have concluded their visit, and this information is routinely archived. 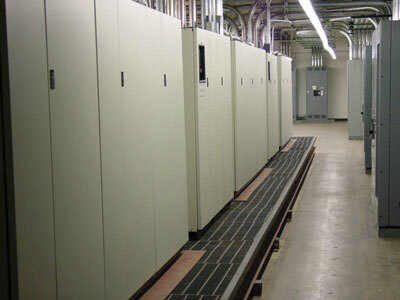 The datacenter is sectioned off to accommodate shared cabinets, full-cabinets, and custom data cages. The datacenter leases cabinets in several different configurations, ranging from a single 1U of rack space to several dedicated cabinets. 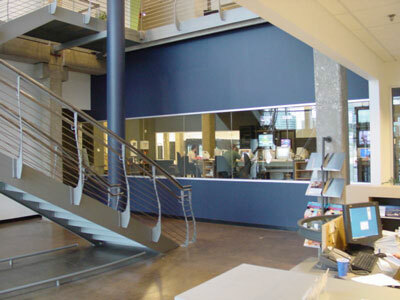 The datacenter utilizes 6 – 500KVA Powerware UPS units for battery backup power in emergency situations. Each unit comprises 160 batteries each for a grand total of 960 batteries and 80 minutes of runtime. 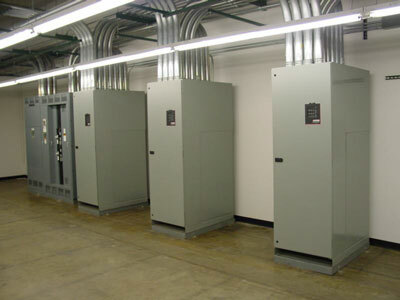 The UPS units operate in failover pairs extending the redundancy and runtime of the battery backup units. All UPS units are monitored via DATATRAX™ with information distributed to the NOC facility in real time. These units are also monitored via NOC Engineers 24/7 by physical inspection every 4 hours. The power system was designed for maximum redundancy, ensuring that the customers' servers will never be unavailable due to a power outage. These automatic transfer switches transfer power automatically during periods of electrical failure to any of the three electrical grid feeds. The transfer switches automatically transfer power between the power grids, the UPS units and the diesel generators without power interruption. All environmental systems are monitored via the DATATRAX™ monitoring system and any variance in systems is reported immediately to the NOC facility. The datacenters electrical infrastructure is broken into three primary zones within the datacenter (A, B, C). Zone A services ½ of the datacenter with electricity. Zone B services the remaining ½ of the datacenter and Zone C overlays the entire datacenter creating a complete redundancy in electricity allowing for the 100% uptime SLA. The north generator is a 1.5 Megawatt – 16 cylinder diesel generator sitting atop a 2500 gallon diesel tank. This generator supplies electricity for zones A and B and has a maximum runtime of 15 days with onsite fuel. Offsite fuel contracts have SLA requirements of 4 hours for a refuel. Diesel generators can run indefinitely and are monitored by the DATATRAX™ monitoring system. The datacenters electrical infrastructure is broken into three primary zones within the datacenter (A, B, C). Zone A services ½ of the datacenter with electricity. Zone B services the remaining ½ of the datacenter and Zone C overlays the entire datacenter creating a complete redundancy in electricity allowing for the 100% uptime SLA. 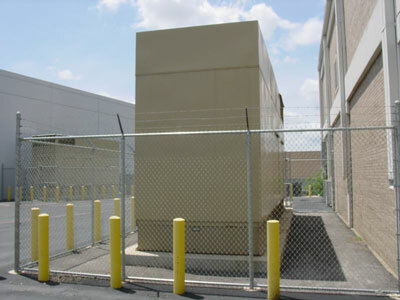 The South generator is a 1 Megawatt – 12 cylinder diesel generator sitting atop a 2000 gallon diesel tank. This generator supplies electricity for zone C and has a maximum runtime of 15 days with onsite fuel. Offsite fuel contracts have SLA requirements of 4 hours for a refuel. 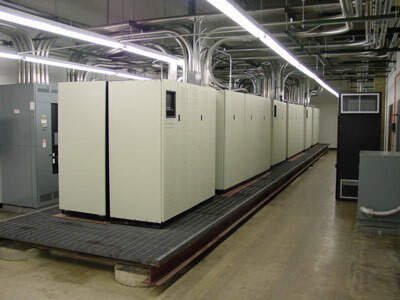 Utilizing both generators and complete power redundancy, The datacenter offers 99.9% uptime on all electrical systems. 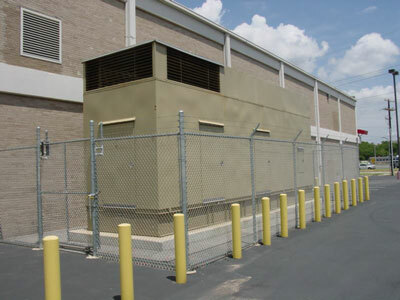 Diesel generators can run indefinitely and are monitored by the DATATRAX™ monitoring system. The entrance to the datacenter datacenter is comprised of badge-keyed doors that are monitored by the internal tracking system as well as closed-circuit cameras, ensuring that no unauthorized entities may enter the premises. 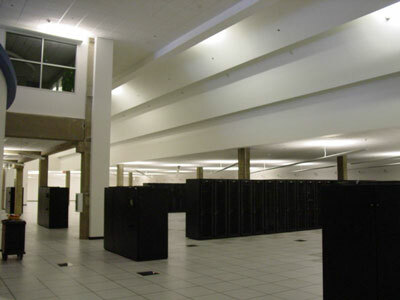 The entrance to The datacenters offices and datacenter are indicative of the attention paid to security throughout the facilities. Customers and visitors must check in at the front desk and are permitted access only as dictated by the Orbit online portal. The datacenters offices are manned 24/7 by NOC Engineers.